Successfully reporting your eCQM and chart-abstracted measure data to CMS and The Joint Commission is a process that requires some time and preparation. But how can you prepare without the proper information? Do you know what to search for? Is the information that you found correct and accurate for this submission year? Set your worries aside. We know that you have more important things to do than dig through a handful of confusing CMS and Joint Commission documents—that’s why we did it for you! Yup, true story. 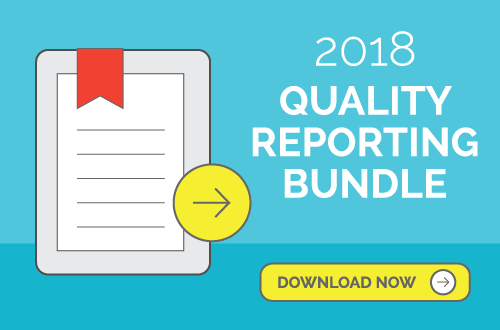 We gathered all of the important documents, standardized and simplified them and put everything in our 2018 Quality Reporting Bundle.